The advert is divided in 2 sections. In the first part, the reasons behind the failure of diet program and supplements are highlighted. 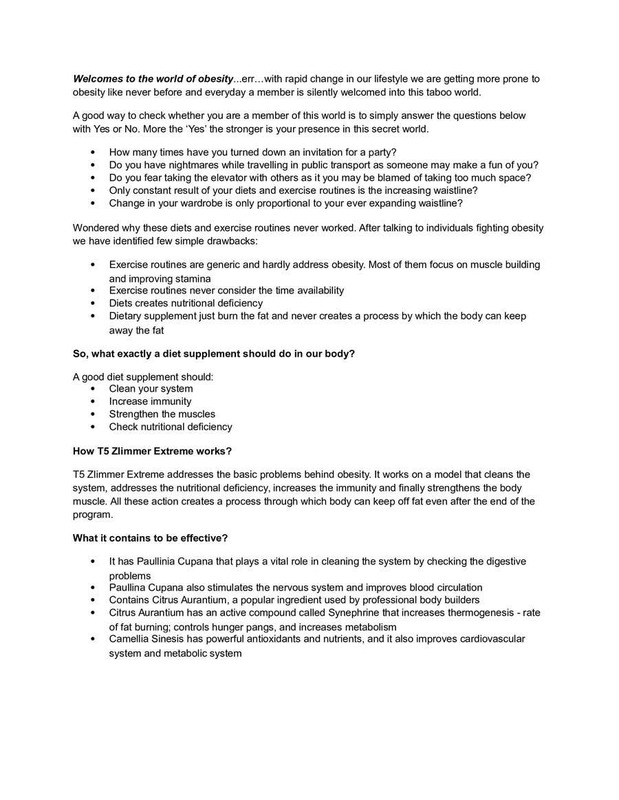 The second part focuses on the effectiveness of T5 Zlimmer extreme. Please check the advert and share your views on it.